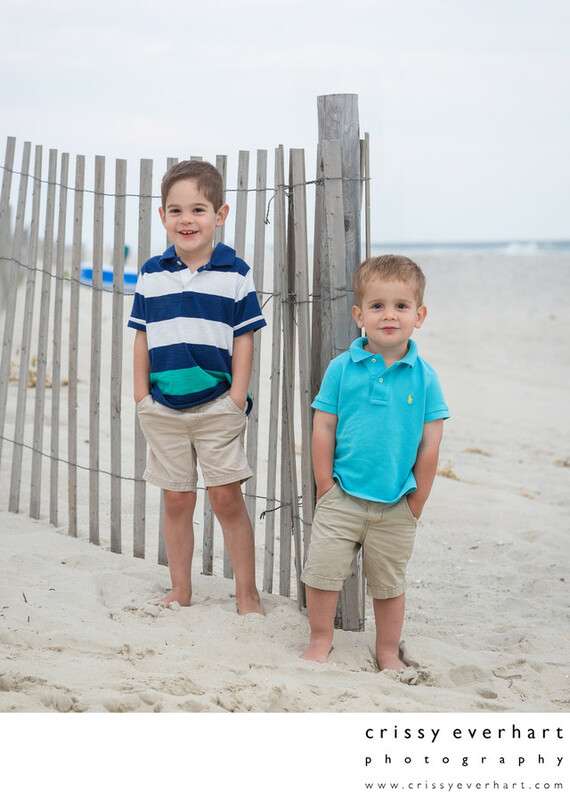 Young brothers stand against the dune fence at the beach at Long Beach Island, hands in pockets. Family portraits at the beach are a great way to capture an extended family on vacation or even just a few kids playing in the sand. Location: 3198 Ocean Blvd, Long Beach Township, NJ 08008.